Jasmine auriculatum is one of the most uniquely and aromatic flowers belonging to the jasmine family. It is obtained by hydro distillation of the flower and is a native of North India. Jasmine auriculatum absolute oil is reddish brown in colour. 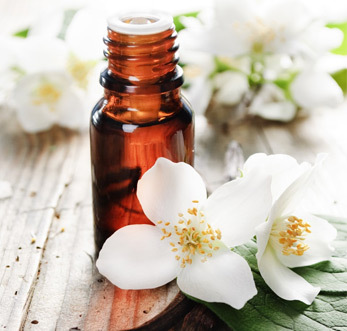 Jasmine auriculatum absolute oil is used for making jasmine based perfumes, cosmetics and creams. Besides that the oil is also helpful in treatment of ailments like insomnia, infertility, depression and nervous tension. It is really very helpful to those suffering from any emotional trauma as the calming and soothing effect of the beautiful and floral aroma of the oil imparts relaxing state to body and mind and thus lessens the suffering.